Gary Grant and Friends have recorded a CD that accumulates 25 years of recording experience that emulates jazz, pop and easy listening that is refreshing and interesting. Gary's playing expertise and sense of melodic growth, is enriched by L.A.'s top recording artist's. Whether listening for pure enjoyment or playing it as background music for a party, or just for relaxation, Gary's new CD "Breakout" is worth having in your musical collection. 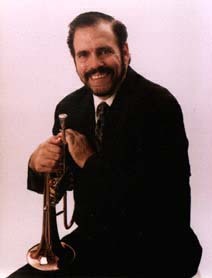 Gary E. Grant was born and raised in a musical family, (Mary Kay, Eben, Ernie) of which he received his early training from his father, Harry Grant. He attended North Texas State University before a two year tour with the famed Woody Herman band, which he performed as a lead trumpet and featured soloist. Gary spent 3 years in Hawaii collaborating with a phenomenal group of musicians performing with his own big band and 7 piece ensemble. In 1975, Gary moved to Los Angeles to become one of the most sought after musicians in the business. Almost 20 years later, he has accumulated an impressive list of recordings that include manytop hits of the past three decades. Gary is also a part of the world famous "Jerry Hey" horn section. As a featured soloist, Gary's rich and clear sound can be heard all over the world in many famous movie soundtracks. One standout in this genre is the live orchestra recording of the main title in the motion picture, The Bodyguard. Other recent solos in motion pictures include: Tin Cup, First Wives Club, Eraser, Forest Gump, Grumpier Old Men II and Judge Dredd. Mr. Grant can also be heard on the recent movie soundtracks of Flubber, Godzilla, Mulon, Contact, Space Jam, Men In Black, The Preacher's Wife, The LushLife, The Mirror Has Two Faces, Cats Don't Dance, Volcano and Hercules. Currently, Gary is recording soundtracks to new realeases: Lethal Weapon 4, Parent Trap and Horse Whisper. Gary Grant's recording credits extend far beyond the world of movies. He also has worked on numerous television shows and commercials such as: The Simpsons, Tales From the Crypt, ER, CBS and ABC Themes, HBO Boxing, Comic Relief IV,V, and VI, Academy Awards, Quincy Jones, AOL, Pepsi Cola, Intel Pentium, playing as Dizzy Gillespie, Award Winning National Car Rental and many more. Gary is also famous in the record industry, recording with many famous national and international artists from America, England, Mexico, Venezuela, Brazil, Japan and Germany. Some of the many artists Gary has recorded with include: Barbara Streisand, Michael Jackson, Whitney Houston, Celine Dion, Toni Braxton, Brian McKnight, Frank Sinatra, Natalie Cole, Earth Wind & Fire, Go West, Take Six, Elton John and Aerosmith. Gary has also recorded with one of the most respected producers of our time, Quincy Jones on albums, Back On The Block and Q's Juke Joint. Other producers Gary has worked with include: David Foster, Glenn Ballard, Dave Grusin, and Baby Face. Gary was also a guest artist with the "Chicago 17" horns. Currently Mr. Gary Grant is producing and writing around a very busy playing schedule. One of his latest releases is a CD produced for singer A. Martinez entitled Frangrance & Thorn, which can be purchased online. A. Martinez' acting credits include: Santa Barbera, LA Law, The Cherokee Kid and The Profiler. Gary is currently working on his own instrumental CD The Real G's, which will be released mid-summer. This CD represents the influences of 20 years of recording with spectacular artists and the evolution of music into the 21st Century. It combines adult contemporary elements with Funk and Jazz. It is a musical experience you won't want to miss. In conclusion, one could say Mr. Gary Grant is an "unsung hero" of the music industry. He is an excellent musician, trumpet extraordinaire, writer, producer, teacher and clinician. His musical talents are here for all to benefit for years to come. You can download audio clips, view lists of his famous works, get the Studio Musicians Manual for important tips and rules of the studio biz, and experience the fantastic musical styles of Gary Grant on this site. But, most importantly, don't forget to look out for the new CD, The Real G's soon.